With its central location, Hotel Cesario is within easy reach of most tourist attractions and business addresses in Cebu. The 33 guestrooms at this 2-star hotel provide all the essential amenities needed by the business and leisure traveler. Room amenities include air conditioning, desk, hair dryer, television, shower, mini bar. Hotel facilities offered at this Cebu accommodation include 24hr room service, shops, coffee shop, meeting facilities, restaurant, safety deposit boxes. 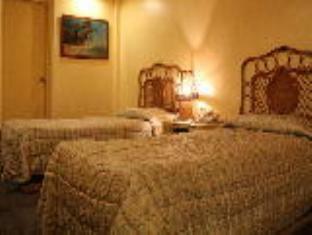 These top-class facilities are complemented to excellent services to meet the needs of visitors to Cebu. To proceed with your booking at The Hotel Cesario Cesario, simply choose your travel dates and fill in our secure online reservation form.